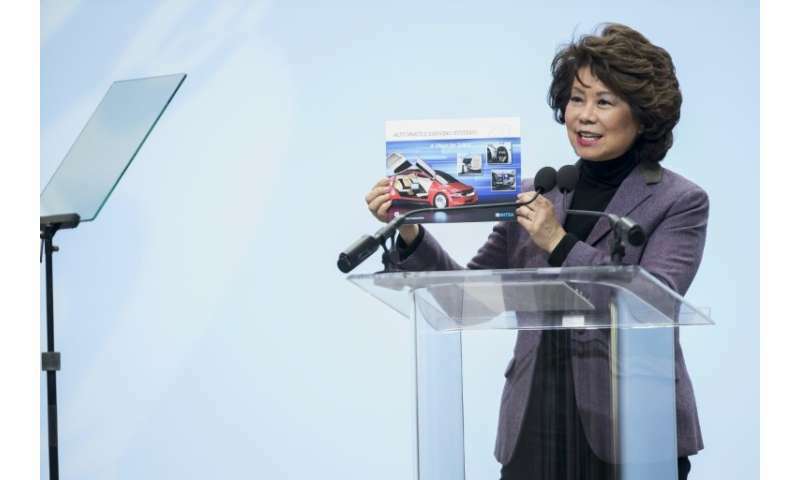 In a keynote address US transportation secretary Elaine Chow touted the tax cuts, which reduced the US corporate tax rate from 35 to 21 percent, saying the move will attract more US investment. GM had kicked off the auto show early Saturday night by debuting its revamped Chevrolet Silverado pickup truck. Ford was expected to launch vehicles later Sunday, with more launches Monday and early Tuesday. Industry insiders were taking a wait-and-see attitude toward talks to revamp the North American Free Trade Agreement, which has generated fears of huge tariffs on Mexican-made imports to the US. Negotiations have been ongoing since last summer at the insistence of US President Donald Trump, with the next round scheduled for January 23-28 in Montreal. Most automakers are following the negotiations, but haven't announced any changes in manufacturing plans in anticipation of NAFTA changes. "There's good conversation going on to modernize NAFTA," said Mary Barra, CEO of General Motors, adding that the company has no announcements on shifting manufacturing capacity. "We're going to continue to interact constructively to make sure people understand the very complex nature of our business." Automakers are waiting to fully assess the impacts of the recently passed $1.5 trillion tax cuts on the auto industry. Highlighting the reform, Chao pointed to Fiat Chrysler's decision to move production of its Ram trucks from Mexico to an assembly plant near Detroit. "This is just one example of the positive impact that the tax cuts and jobs act will have on workers, job creators, employers, and our country," Chao said. But analysts said many households still don't have a clear sense of how much they will benefit from the complex changes to tax laws. "There's some people that are probably putting off purchases because they don't really know... what our paychecks are going to look like," industry analyst Rebecca Lindland of Kelley Blue Book told AFP. Judging by the offerings at the auto show, trucks and SUVs remained the most important categories for car makers, after accounting for two out of every three cars sold in 2017. US auto sales dipped slightly in 2017 for the first time since the financial crisis, but remained at a solid level. Car makers planned to unveil several new trucks, SUVs and large "crossover" vehicles include Ford, Fiat Chrysler, Nissan and Toyota's Lexus.